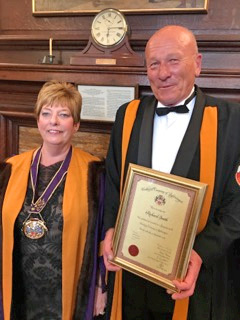 At the Lightmongers Court meeting held 19th September at Tallow Chandlers Hall the Master and the Court were delighted to welcome a new Freeman to the Company and to see the progress of two Freemen to Liverymen of the Company. 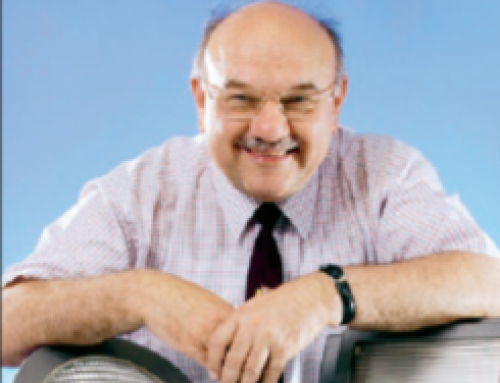 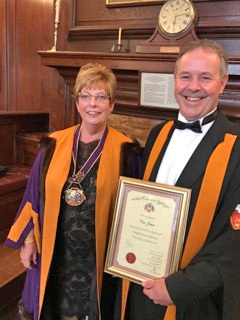 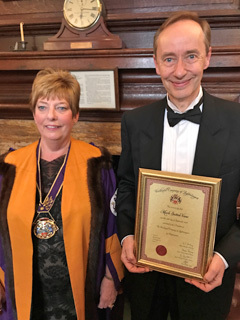 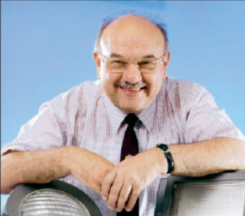 Mark Sutton Vane was admitted to the Lightmongers as a Freeman and welcomed by the Master, Barbara Harding. 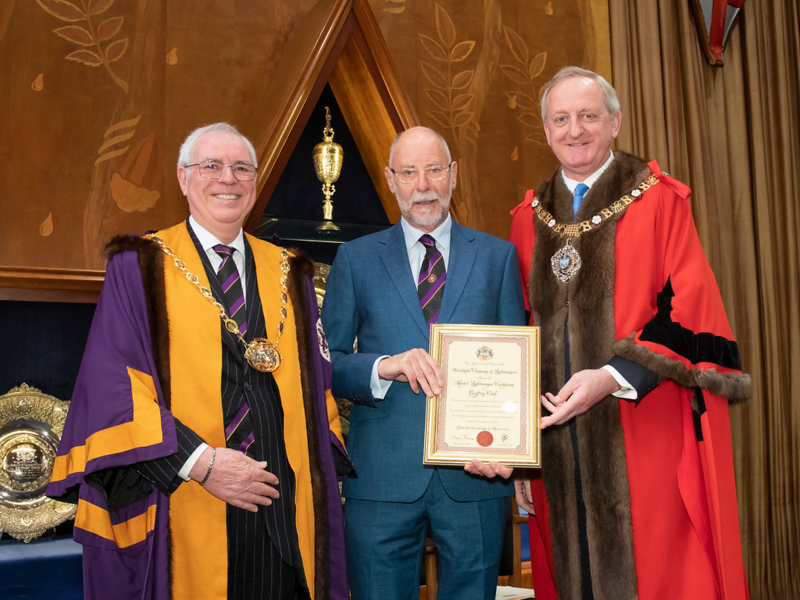 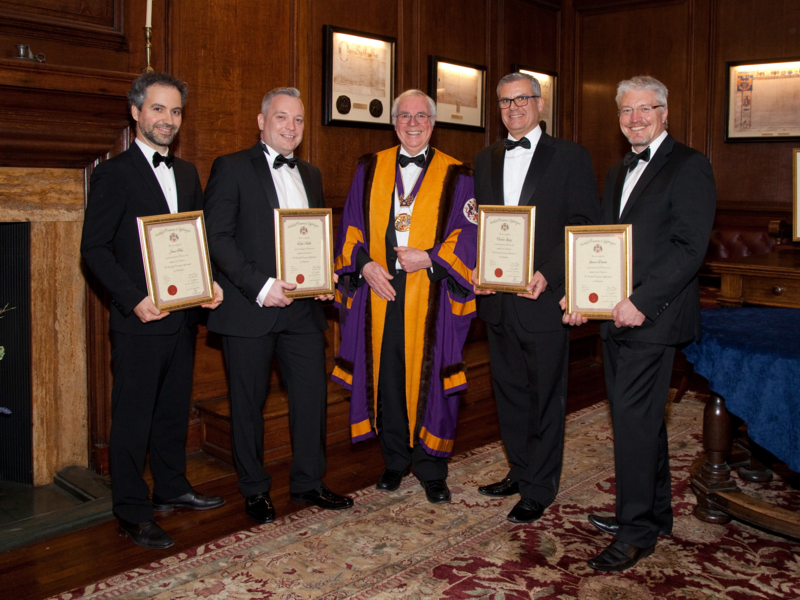 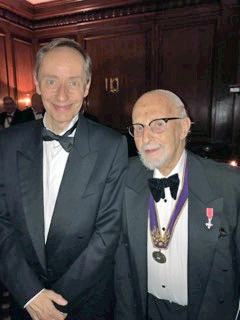 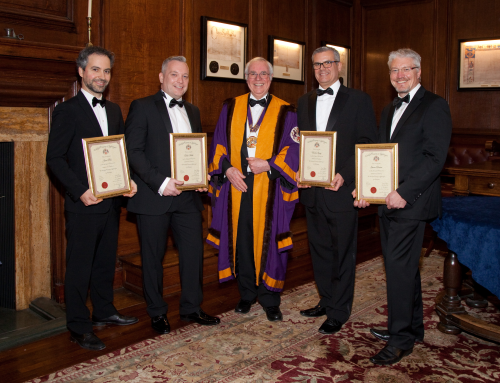 Richard Smith and Tom Jones, having completed their Freedom of the City of London, were admitted and invested as Liverymen of the Worshipful Company of Lightmongers. 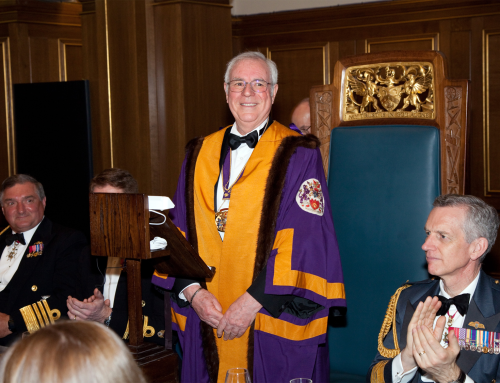 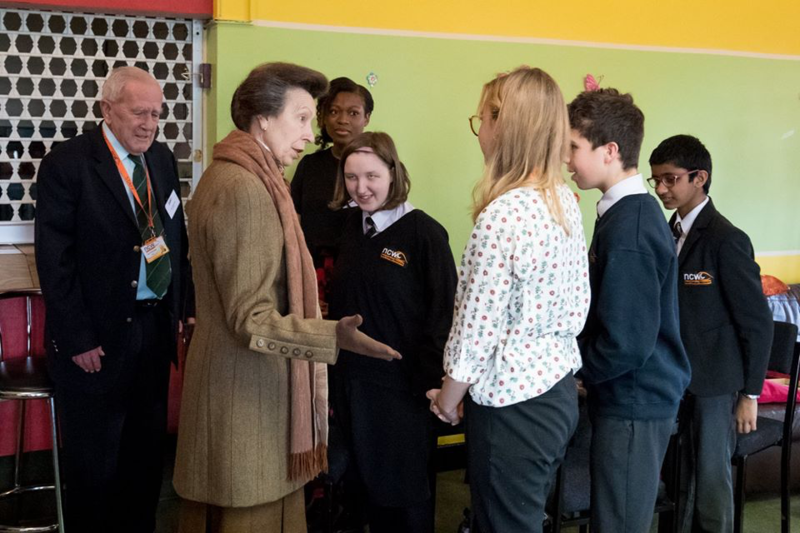 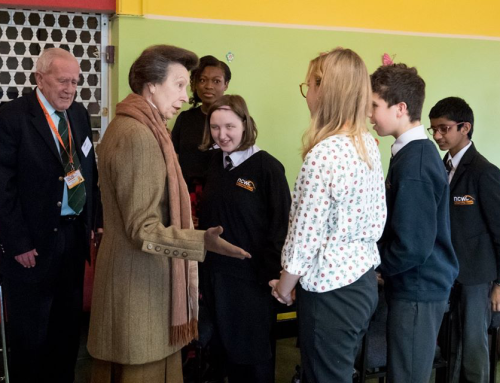 The Master, Barbara Harding congratulated them on completing their journey to full membership of the Company. 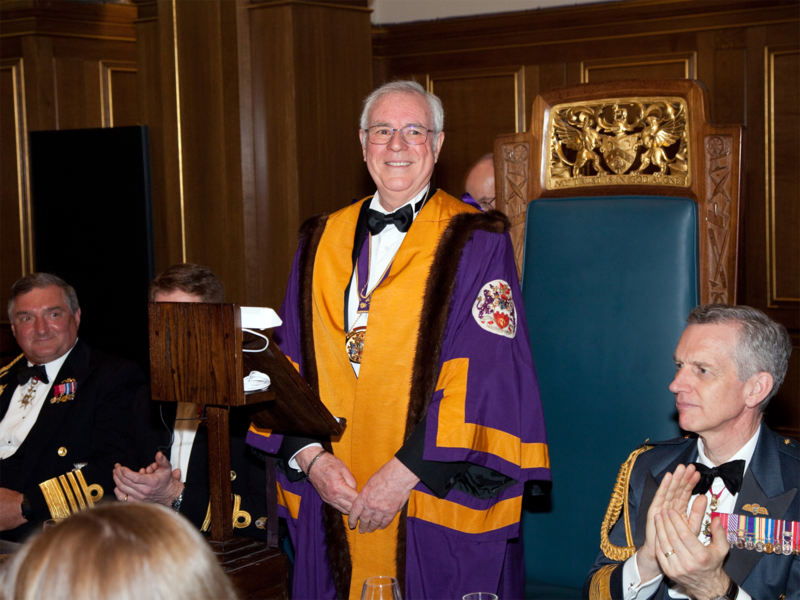 At the dinner following the Court meeting our new Freeman and Liverymen were congratulated and warmly welcomed by all those present, including our longest serving member, Past Master Walter Bamford.